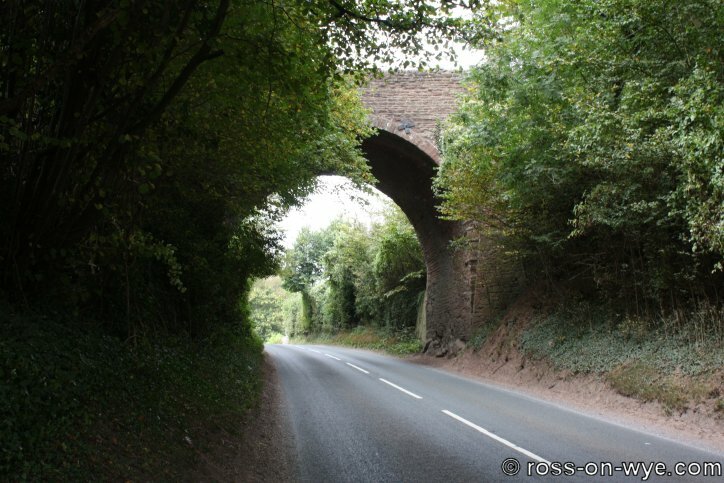 The Dry Arch is a so called as it is a bridge that does not cross water; it cross above a road. Such bridges, now common place, used to be relatively rare hence why this one is well renowned. 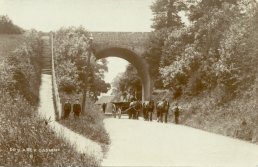 The Dry Arch is believed to have been built at the same time as Kerne Bridge, in 1828, and the new road which crosses it. The "new road" runs from Kerne Bridge, past Flanesford Priory and on past Goodrich towards Symonds Yat and finally ends at Whitchurch. It should be noted that the village of Kerne Bridge was originally known as 'the Quern' but was later renamed after the bridge. 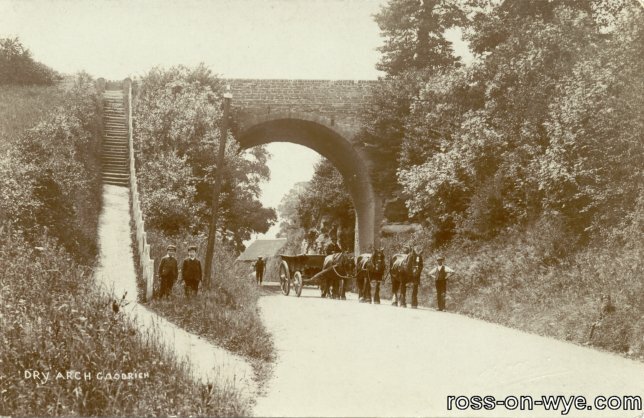 This postcard shows the Dry Arch at Goodrich with a horse and cart passing beneath it.